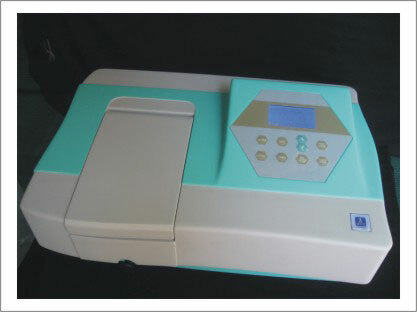 UV/Visible Spectrometer Model UV-BT 610 - Analytical Equipment - Products - Brite Technologies, Ultimate Laboratory Solutions, Analytical Equipment, Clinical/ Medical Education Products, Refrigerators (scientific), Laboratory Equipments (axiom Gmbh), Canada. UV-BT-610 is an advanced and affordable system that generates accurate and reproducible measurements for qualitative and quantitative analyses. The wide path length and optional accessories make them ideal for university, water and wastewater labs, Environmental protection, agricultural, petroleum industries and other fields of quality control and research. UV-BT-610 most valuable instrument with highest cost effective with large LCD screen which is enough to read from any distance. UV-BT-610 has built-in RAM helps to store and reload more then 195 standard curves and 495 test data results. UV-BT-610 design is convenient to change lamp easily without and further alignment and extend the lifetime of the Deuterium lamp and tungsten lamp by turned on /off individually. 3- C Mode: Standard Curve method can use at most 9 standard samples to create a new standard curve, and to measure the unknown samples by the new one. 4- F Mode: Coefficient Method Input the known K and C to measure the unknown concentration samples.